Don’t forget to ‘Like’ us on Facebook and see what we’re up to! 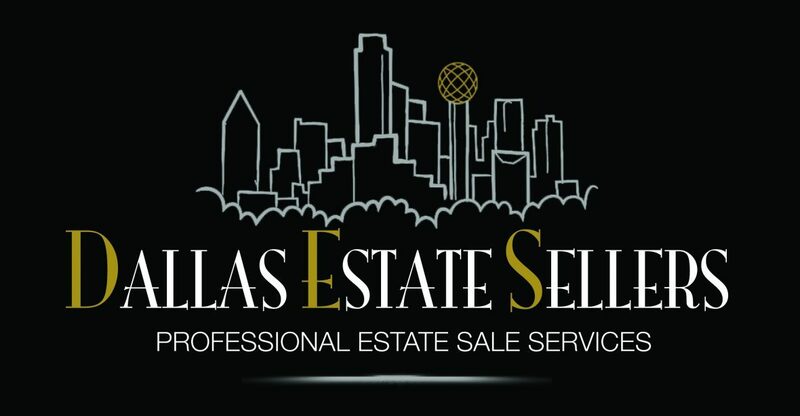 Visit https://www.facebook.com/Dallas-Estate-Sellers-185798118865701/ for more! Thank you for coming out and seeing us and supporting us last week for ‘Small Business Saturday’.. Here’s hoping you’ve had ALL the turkey leftovers you can handle and now it’s time to wrap up your Christmas shopping here with us! Our next great client has decided to downsize and simplify for her next journey through life! Come and visit us the LAST weekend of November after Thanksgiving at this next great home located in North Plano at Ohio & Spring Creek Parkway. Come by and see us AND say ‘hello’ to the Gang! There’s something for everyone and it all has to go! The prettier things ended up here.. Costume jewelry names like TRIFARI, MONET and “T”.. some 10k & .925. James Avery, Michael Kors men’s watch to a Rachel Cruz wallet. Sabino Bird to BEATRIX POTTER figurines & books. Antique Illustrated Bible as well as other antique Bibles. Vintage photos and antique books, Little ABC linen book and vintage American Airlines Flight Information Packet to Shell’s famous facts and faces. Chanel Colognes to antique eye glasses and garters, silver thimble to vintage Air Force shank buttons and Rachel Cruz wallet. Coins!!! Morgan silver dollars, seated liberty half dollar, quarters and dimes. Mercury dimes, Buffalo dimes and Kennedy half dollars.. check them out! A beautifully decorated traditional home with TWO dining sets.. a great expandable ‘pub table’ for your kitchen or game room and the other for your formal dining room. Great accent tables and chairs to lamps and lighting throughout..
Beautiful traditional furniture throughout.. a handsome yet whimsical hand carved, rustic folk style dining table for those who want a unique decor like NO others.. a pair of classic wingback chairs, pleated ottoman to a pair rockers! Two great desks to choose from.. one traditional and the other more of a library table style. Art Deco to Ethan Allen bedroom furniture, beautiful antique oak displayer to a Columbia Graphophone Cylinder Record Player (a great conversation piece)..
A FULL kitchen this weekend! Bakeware, cookware to flatware, ovenware and gadgets galore.. it’s here! Collections from Arthur’s Court, some Waterford and leaded crystal to etched glassware and Fitz & Floyd to mention a few.. Everyday bed and bath linens to choose from.. sheets and everyday textiles to placemats, tablecloths and more.. get your holiday necessities here just in time for the BiG day! Christmas accessories JUST IN TIME for Christmas.. need a few extra ornaments or Santa figurines? Stop in and see us this weekend! Garage necessities this week for you guys.. some hand tools and some power tools to ladders,too.. fun garden and yard accessories to add to your own home also! Come out and see us AFTER you’ve had ALL the turkey leftovers you can handle! It’s only right to have a sale and support ‘#Small Business Saturday’ after BLACK FRIDAY! Our next great client has decided to ‘SELL it ALL’ and simplify for her next journey through life! Come and visit us the 4th weekend of November after Thanksgiving at this next great home located in the heart of Richardson at I-75 & Campbell Road. Come by and see us and say ‘hello’ to the gang! There’s something for everyone and it all has to go! Silverplate to crystal and more..
A great kitchen! Bakeware, cookware to flatware, ovenware and gadgets galore.. it’s here! Great collections from Arthur’s Court, some leaded crystal and etched glassware to Fitz & Floyd and fine silver plate to mention a few..
Christmas JUST IN TIME for Christmas.. need a few extra ornaments or Santa figurines? Stop in and see us this weekend! A FULL garage this week for you guys.. a great selection of hand tools and some power tools, too.. an awesome selection of pots and garden accessories to patio sets for next Spring! ~Women’s Clothing: A fun assortment/selection of ladies clothing this week.. TONS of Talbots, Chico’s, Coldwater Creek, Stizzoli to other various brands (sizes M/L).. Shoes by Munro, Cole Haan, Impo, Life Stride, Anyi Lu, Sesto Meucci and Naturalizer (sizes 7.5ish).. come check them out! Great women’s purses JUST in time for Christmas! Names like Vera Bradley, Coach, Talbots to Ellen Tracy and Tumi..
Take a moment and sign up at www.DallasEstateSellers.com to ‘stay in the loop’ about our sales and preview information (when applicable)!! ONLY the people on OUR email list are privy to such information! Make SURE you are one of them!! Don’t forget to follow us on Instagram or ‘like’ us on Facebook so you can see what we’re doing and where we’re at! We LOVE what we do! If you are in need of Estate Sale information please call and we’ll be glad to answer any questions! If you know someone in need of a sale send them our way! We give a referral fee!! Our next great client has decided to ‘SELL it ALL’ and simplify for her next journey through life! Come and visit us the third weekend of November at this next great home located right at ‘The Bush’ & I-35. Check out this great home right before Thanksgiving! Come by and see us and say ‘hello’ to the gang! There’s something for everyone and it all has to go! To all the collectors, cat lovers and novices.. we have the ‘purrrr-fect’ holiday presents for you! TONS of Clayworks by Blue Sky, Catzilla by Candace Reiter and Ganz collectibles. Some Fitz & Floyd, Britto, Mary Engelbreit, Joy Cats and Heather Goldwin to mention a few.. COOL man cave items for our dudes.. a Mossberg 402 Palomino .22 rifle, ‘76 Pontiac Firebird parts to binoculars, vintage cameras, wooden puzzles and aeronautical literature and collectibles.. framed and mounted stamps, Meade telescope to a field phone replica.. some Nazi and Hitler literature to even a vintage Lionel Train set, too.. cool! A F-U-L-L kitchen! A Cooks dream! Bakeware, cookware to flatware and gadgets galore Crock•Pots, countertop ovens to mixers and Tupperware food storage. Cookware, bakeware and ovenware.. it’s here! Nesco food slicer, Gevalia and Cuisinart coffee makers and Crock•Pots to Royal Danube painted crystal.. Come stock up from the pantry here for the holidays this weekend with us! Beautiful furniture throughout.. a handsome yet whimsical hand carved, rustic folk style dining table for those who want a unique decor like NO others.. a pair of leather La-Z-Boy Classic recliners to THREE king size bedroom sets in a clean and classic beach cottage white.. Everyday bed and bath linens to choose from.. decorative pillows, comforters, sheets to TONS of everyday textiles including a fun variety of retro and vintage prints. Kitchen and bath towels, NIB sheet sets to pillows, quilts and even some luggage..
A good selection of men’s and ladies grooming products and accessories.. Norelco shavers, lighted vanity mirrors to lotions and potions. Bronzers, makeup brushes to hair dryers and flat irons.. get your beauty on here with us this weekend! A great selection of cleaning supplies and necessities.. 2 Roombas, Dyson DC59 handheld, a Hoover upright to a Frigidaire refrigerator and wardrobes for additional storage.. Golf clubs to golf accessories! Shoes to balls, bags to stands and just about everything in between.. Dynamic Gold, Cobra to King Cobra and Carbon Fiber Composites.. check them out! A FULL garage this week for you guys.. a great selection of tools and tool storage, Craftsman to Power-Kraft, Black & Decker to DeWalt, hand tools and power tools to chemicals for your spa and even outdoor patio chairs, an awesome selection of pots for next Spring and garden accessories for your home.. come stock up for next Spring! Jefferson head nickel collection starting 1938, (incomplete). Lincoln had cent collection starting 1944, (incomplete). Lincoln head cent collection 1909 to 1940, incomplete. Roosevelt dime collection starting 1946, incomplete. Indian Head cent collection flying eagle since 1857 to 1909, incomplete. Indian had sent collection starting 1941, Complete. The Wittnauer metals coin set Roberty Lee 1862 and Gettysburg address 1863. We’re be back in another one of our favorite areas of Dallas just next to the famous Dallas Arboretum and White Rock Lake near fun & funky ‘Little Forrest Hills’.. check out this great home at the beginning of November! We even have a beautiful SUV for you this week. Come by and see us and say ‘hello’ to the gang! There’s something for everyone and it all has to go! 1907 Wilkinson Bayonet, great watches by Movado, Fossil, Kenneth Cole, Life Trak, Coleman, Beverly Hills Polo watch to Rayban sunglasses. A Sawyers View Master, an assortment of great Colognes, Leather Bow Ties, Ralph Lauren Alligator Belt to various cuff links, Sensi Write Man and Montblanc Meisterstuck pen. Valentino Cumberbun set, Louis Vuitton wallet, Fossil wallet, Dockers slimfold wallet, QI wireless charger, Vintage Bayer advertising and Blenko glass vase and heart.. all the pretty things are up here! Other great items throughout the house, too..
Louis the XV, XVIth and French Empire style with inlay furniture pieces..
19th Century Oriental pigskin trunk with silk lining..
An hand carved marble vanity sink.. a unique find at a fraction of the price! 19th Century Carved mahogany Bonnetier Armoire in fantastic condition..
An Osaki 4000T Zero gravity massage chair with foot rollers.. the most comfortable relaxation chair you’ll EVER purchase! Comes in a beautiful creme/taupe and offers full body scan technology, full body air massage, seat vibration and heat therapy for your back! Whoa! Fun retro rattan furniture pieces and trunks for your flashback pad.. traditional humpback couch and lighting and many other great styles throughout..
HOLY electronics and gadget selections this week! Stop in the office for a look-see! LG sound bar, Samsung monitor and Brother printer/scanner to rapid chargers and charging tables and vintage Technics receiver to mention a few cool items! CD’s, books and eclectic collectibles.. board games, office organization and great ‘high tech’ lighting.. TONS of men’s toiletries and colognes to Home medical supplies.. insulin syringes, disposable needles to lancets and Accu-chek testers. Don’t pay retail and shop here with us this weekend! A F-U-L-L kitchen! A Cooks dream! Bakeware, cookware to flatware and gadgets galore! Crock•Pots, countertop ovens to mixers and food storage. Cookware, bakeware and ovenware.. it’s here! Come stock up for the holidays this weekend with us! A 2012 stainless Samsung side-by-side refrigerator/freezer, TWO sets of washers & dryers this week.. a set of white Maytag Maxima washer/dryer to a Maytag Centennial Washer and Samsung MultiSteam VentSensor Dryer.. come and make your choice here with us! Pool, Patio and garden accessories for your home.. patio furniture and chairs, pots and planters to sun umbrellas and BBQ grills. Pool floats, loungers and plants needing a new home.. come stock up for NEXT spring here! A FULL garage this week for you guys.. a great selection of tools, chemicals and even heaters just in time for winter. Outdoor pagoda and canopies, bistro set and patio chairs.. stop by the pool and check out the views! Mens Clothing: One of the best men’s closets we’ve had this year! A G-R-E-A-T assortment of guys clothing.. a variety of daring leather leather outfits AND accessories for the aficionados to all the Polo and Ralph Lauren one could stand! Other various brands include Chaps, Tommy Hilfiger, Avanti, Dockers, Colours, LandsEnd, Gap and Faconnable. (sizes vary M/L).. Shoes by Nike, KSwiss, Clark’s, Cole Haan, Bally, Frederico Leone and Polo. Boots by Justin, Dr. Martens, Gore-Tex and Alpine (sizes 9.5ish).. come check them out! This vehicle is being sold as part of an Estate. Bidding will close, if not sold prior to the Estate’s sale, by the end of Friday, and the winner with the highest bid will be notified of their win and expected to render payment and/or make arrangements with us. Again, come by and see it for yourself and leave your BEST bid with us! Good luck! Bidding on the Range Rover starts @ $26,000.. please see a sales associate for further details and information! A beautiful 5dr HB Dynamic Premium, this is the top of the Range, RANGE ROVER EVOQUE…..that’s right, it has everything, and then some.. Panoramic roof, BLUETOOTH, navigation, dynamic alloys, cruise control, heated electric seats with memory, back-up camera, Meridian sound system, HID Xenon, paddle shifters.. check out the color combination and the interior contrast, this is not only fully loaded but also priced to sell! This is a ONE OWNER car..
**This vehicle is being sold AS IS with NO WARRANTY. I have described it as it has been described to me. It has a clean & clear title. CASH, CC AND/OR CERTIFIED BANK CHECK MUST be paid in full BEFORE THE vehicle LEAVES the DRIVEWAY! Vehicle will have NO plates, tags OR insurance and it is the purchasing party’s responsibility to provide it! Thank you..
We’re back in the Disney Streets again this week for part 2 of this great sale. Noted architect for many local projects and designer of Valley View’s ‘Sanger Harris’ mosaic mural.. we have the great pleasure of being able to do the estate of Brenda J. Stubel (Pt 2). As a lover of mid century and having an eye for great lines, Brenda’s home is a treasure trove AND a flashback. Come and visit us in another one of our favorite areas of Dallas.. the ‘Disney Streets’!! We’ll be literally right off Royal Lane and Midway Road. Our next awesome client found us on the web and it was just meant to be! We are more than excited to be able to help her out! Check out this great home at the end of October! Come by and see us and say ‘hello’ to the gang! There’s something for everyone and it all has to go! Nippon Vases and Waterford Ornaments, Some Baccarat and Swarovski to Fitz & Floyd Collectibles, decorative perfume bottles and silver vanity brush set. Chico’s assorted jewelry, brooches and vintage costume jewelry to some .925 and 10K gold. A Lady Elgin and A Versace and Lady Elgin watches to an assortment of other ladies watches to men’s bolo ties. Shriner memorabilia.. hats, pins and cuff links to pewter and brass pendants and some collectible coins. Al Amin pins, Dept 56 and American Craftsman. Vintage Foo Dog soapstone stamper to Whiting & Davis mesh lighter and coin purse to Dirilyte flatware. Other names like Rita Daini Caballito, Lori Arnold Harry M. Osers Co. and Hattie Carnegie.. stop by and check out all the pretty inside! MCM and Regency furniture.. beautiful woven wicker end Sofa, Travertine inlayed side tables, Campaign by Henredon and some retro, too..
A great selection of kitchen items AGAIN! TONS of Temptations dishwater and cookware in Blue or Green. October Hill, Rachel Ray, Wolfgang Puck and Emeril.. gadgets galore, small appliances to cookware, bakeware, dishware, serving pieces and more! Musical instruments.. guitars from the Keith Urban Collection and Hector Cruz. A 4-String Soprano Ukulele to an adjustable piano bench and vintage recorder..
Retro and Vintage Office furniture and decor.. a ton of architectural renderings and building blueprints, file cabinets and organizational necessities to books and magazines, Encyclopedia Britanica ‘Book of the Year’ to LP’s, CD’s and VHS.. Kodak carousel cartridges and more.. Everyday Linens and textiles including a fun variety of retro and vintage prints. Kitchen and bath towels, NIB sheet sets to retro sewing patterns.. Believe it or not there is still some Christmas left over AND some new items brought out, too! Collectibles to ornaments, artificial trees and yard decor to lighting and more.. If your looking for that ‘special’ touch to keep your MCM home true to form we have avocado green appliances in EUC just needing some minor TLC to keep them running for another 30 years.. stop by and check them out! Retro and Vintage Patio furniture, pottery to TONS of storage and shelving solutions to garden and hand tools, everyday chemicals and cleaning necessities..
~Women’s Clothing: A great assortment/selection of ladies clothing.. some still NWT! Names like Susan Graver, Chico’s, Bob Mackie, Brooke Chapman, Jones New York, Vikki Vi, Liz Claiborne, Pendleton, Casey Coleman, Foxcroft and Christian Dior. Vintage Vanity Fair, Miss Elaine, Maggy London and Ursula to name a few.. (sizes vary L/XL).. Shoes by Etonic, SAS, Keds and Puma (sizes 11ish).. come check them out! Great Local and Texas artists.. names like: Michael Tichansky and Juergen Strunk. Other great artists like Kaleta Doolin, Bonnie Cobb, F. Klaucke, Charles Jones, David McCullough and Ronald Slowinski.. many purchased locally through the Ruth Wiseman Gallery here in Dallas, TX..
What a treat for you we have this week! Noted architect for many local & national projects and designer of Valley View’s ‘Sanger Harris’ mosaic murals.. we have the great pleasure of being able to bring you the estate of Brenda J. Stubel. As a lover of Mid Century and having an eye for great lines, Brenda’s home is a treasure trove AND a flashback. Come and visit us the last weekend of September at another one of our favorite areas of Dallas.. the ‘Disney Streets’!! We’ll be literally right off Royal Lane and Midway Road. Our next awesome client found us on the web and it was just meant to be! We are more than excited to be able to help her out! Check out this great home at the end of September BEFORE Columbus Day! Come by and see us and say ‘hello’ to the gang! There’s something for everyone and it all has to go! ** Read about Brenda Stubel and her passion for her work and contribution to our Dallas Landscape written by Michael Friebele for D Magazine by clicking or copying and pasting the following link. Attention! Please read: First things first.. there will be crowd control/limited entrance to the home due to the size of the house and quantity of items. No large bags will be allowed. Officer Laurie will be here to assist us with keeping everyone in line and safe! ** There will be a Police presence at this property to assist us with crowd control and traffic. Please be on your best behavior.. your cooperation in these matters is always appreciated!! Baccarat to Swarovski crystal, Blenko and Murano glass pieces to a beautiful selection of Frank Lloyd Wright furniture, decor and ornaments to ‘Imperial’ and ‘Cabaret’ dishware.. some Lladro, vintage pottery and art glass to decorative perfume bottles, Aneita Fern ornaments, Mondrian inspired accessories and Jan Barboglio to name a few.. Mid Century and Retro Living Room furniture and accessories, handsome Stickley dining room set and breakfront to some smaller pieces.. vintage accent chairs and MCM coffee tables to regency swags and more..
Vintage Henredon Campaign bedroom furniture with Tempurpedic bed, Traditional Rway bedroom furniture pieces to several accent tables.. TONS of everyday Kitchen.. from gadgets and accessories to Le Creuset cookware and Pier 1 seasonal serving pieces. Everyday bakeware and small appliances, vintage glassware and retro Tupperware and more! Retro Office and Electronics along with architectural and drafting accessories. LP’s, DVD’s to Kodak carousel cartridges.. hardbacks to paperbacks and a huge selection of sheet music. Encyclopedia Britannica, the Harvard Classics and Book of the Year sets. Retro and MCM furniture, lighting and a huge selection of art..
A fun and diverse collection of Dallas Symphony Orchestra Store collectibles from the Meyerson.. trinket boxes, purses to scarves, fine collectibles, posters and more..
It’s NOT just a carport or garage this week.. it’s our QVC central bonanza spectacular! Nothing brought our homeowner greater pleasure than ordering from America’s #1 TV retailer.. and it was pure love! We have, to my best guess, the single LARGEST collection in one place brand new and unused QVC cookware and Christmas. You’ll be amazed just by the quantity alone! We have Temptations in Floral Lace, Figural Poinsettia and Old World, Lenox Christmas and Turkey tureens to Rachel Ray, food storage galore and more! The selection is astounding! ~Women’s Clothing: A good selection of ladies clothing.. everything from vintage to NWT. Chico’s, various QVC brands and more (sizes vary XL-ish).. Shoes from (size 10ish)..
Great Local and Texas artists.. names like: Charles Jones, Judith Williams, Michael Tichansky and Juergen Strunk. Other great artist names like: Ronald Slowinski, Ioyan Mani, LeRoy Neiman, Marcus Uzileresky, Bill Steeve and F. Klaucke, sculpture Art Shirer, Japanese rice paper artist Utamaro, Kaleta Doolin and wood sculpture Isaac Smith. We’re back to another one of our favorite areas of Dallas.. Highland Park!! We’ll be literally right off Hillcrest near Uptown. Our next awesome client came was a referral to us earlier this year and after getting their home sold we’re able to help them downsize to their next BIG adventure! Our homeowners have lived in and traveled many parts of the globe. Having been an antiques dealer throughout her life our homeowner has a fantastic personal collection we have been authorized to sell! You simply MUST come and see it for yourselves! We are more than excited to be able to help them out! Check out this great home H.P. the second weekend of September AFTER Labor Day! Come by and see us and say ‘hello’ to the gang! There’s something for everyone and it all has to go! Antique bone handled parasols, carving utensils and letter openers to Capodimonte and Belleek. A handful of Tiffany & Co. treats and bronze elephants statues to an antique thermometer. An onyx and bronze inkstand with clock, antique 3pc porcelain and bronze clock set, an exquisitely carved sandalwood chess set to costume jewelry and more! Antique French chairs, rustic sofa table to custom wingback chairs, a pair of neutral, armless accent chairs to Maguire style coffee table and elegant wool woven rug..
Lenox Serving pieces, Royal Winton, Meissein China, Neiman Marcus ‘Vintage fashion’ plates to special occasion decorative pieces.. some pressed glass and crystal serving pieces, silverplated English serving trays, domes and platters to candelabras and more..
French bronze wall sconces, carved wooden sconces to gold gilt Italian Mirrors to choose from.. Awesome and fun Mid Century lighting.. Murano glass mushroom lamp and laurel-style egg lamp perfect for any nook! Jens Risom for Knoll woven lounge chairs, Barcelona style daybed, Bertoia chairs and bistro table set to a LC4 chaise lounge chair..
18 Century Windsor chair, Louis XVI Style French writing desk and to a pair of ornate Asian style potted plants..
Kitchen- Le Creuset, Pillivuyt, Royal Albert, Cuisinart, Bodum to vintage Christmas Nippon. Vintage serving pieces to bronze and copper accents along with a primitive pie safe. Books! Books! Books! Themed books, reader’s club books to decorative encyclopedia sets, early 19th century books, hardbacks and paperbacks all the way to cook books, decor magazines and children’s books, too.. pop into the nook upstairs for yourself a pick some out for yourself! Vintage linens and textiles to clothing upstairs.. antique wicker children’s bed and medicine cabinets, too.